Did it help to reduce blemishes? I'll start by saying that I have been using this through two 'cycles' so therefore I should have technically had two menstrual breakouts on my chin within this time. However, I have actually only had one spot which was anything to shout about which is VERY good for me. The only thing it hasn't helped with is blackheads, they unfortunately remain unchanged and still continue to plague my nose. tsk. Did it improve the appearance of your skin? I used to have quite a bit of redness from acne scarring and I think this has improved, I could now get away with a lighter foundation if I wanted to as it doesn't take as much to give an even colour all over my face. 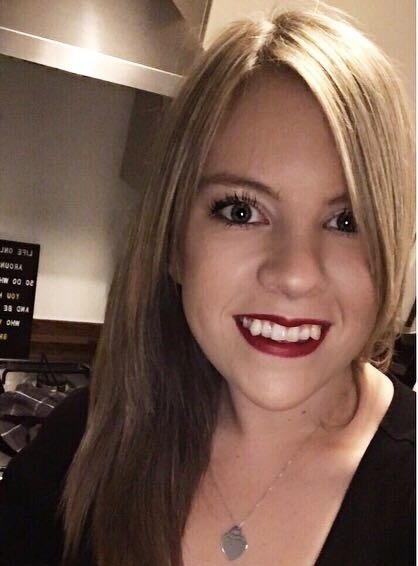 The reduction in excess oil was also noticeable without drying my skin out which is a refreshing change because some products which claim to reduce oil will strip your skin within an inch of it's life! What did you think of the individual products? Foaming Gel Cleanser: I'm not a fan of foaming cleansers and I have to admit that my opinion hasn't really changed because using this meant that I had to use a separate eye makeup remover (I'm all about the quick and easy cleanse) and although my skin did feel clean when I used this I couldn't help but go back to my old favourite Bee Good Cream Cleanser for my night cleanse. However, I decided to use this just for my morning cleanse as I never need to remove eye makeup in the morning and I think it really contributes massively to the reduction of oil on my face. Clarifying Toner: I really, really like this. Toner was always the step I tended to skip in any skincare regime but I forced myself to remember to use this while I was trying out this kit; it's clarifying but not drying and it does do a great job of removing any residual cleanser or grime from your face. Lots of blemish fighting toners on the market are full of alcohol which can strip your face of natural oils which can then make it over produce oil (ain't nobody got time for that!!). Effaclar Duo +: This has been the main game changer for me, I've been using it as a primer after moisturiser and I really love it. It is absorbed instantly by my skin without leaving it feeling tight, and although it doesn't fill your pores (like some primers do) it does give you a great base for your makeup to stick to. What were your overall thoughts of the kit? I think kits like this are all about making them work for you and I would say that if you struggle with blemishes and problem skin then you would find a way to make each of these products work in your favour. Although I don't use the cleanser morning and night as the instructions suggest you should, it works much better for me just as a morning cleanse. At £32.50 for a full skincare system I don't think you can go far wrong with this and you also can't buy the toner separately which for me is a reason to buy this kit in itself! If you are struggling with your skin and you're at the end of your tether thinking you've tried everything then I really do recommend La Roche Posay; it's gentle yet effective stuff and it doesn't break the bank. 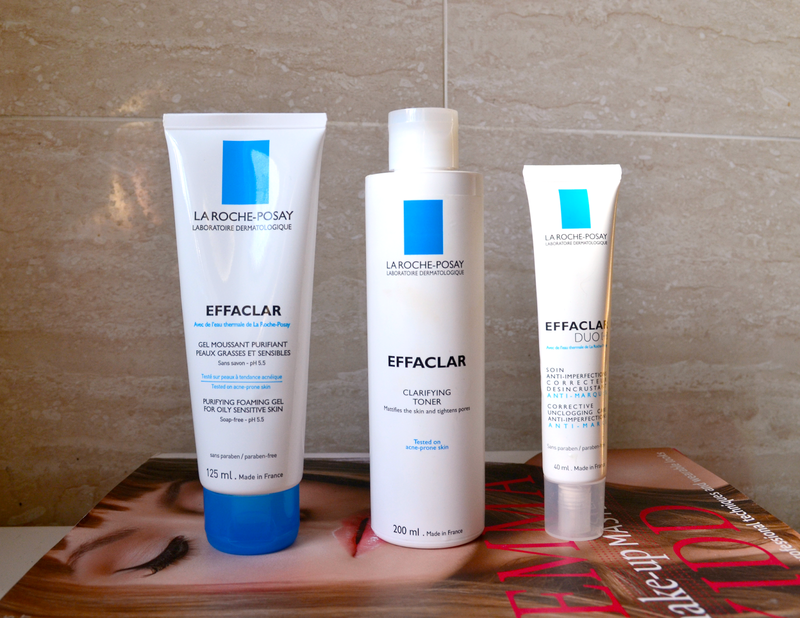 Have you tried any La Roche Posay products? Lovely blog! I am so so glad you blogged about your thoughts on these products, I was considering purchasing these. I like the sound of Bee Good Cream Cleanser too so may buy that! I actually didn't get any results from the Effaclar Duo +, and dislike foam cleaners too! I hope they release the toner on it's own, it sounds amazing!